“It’s so typically British,” he said – a notion that baffled me. It was so unbritish in its haphazard, loping design: a clear contradiction of the order and tradition that defines Britain. I could see his point. 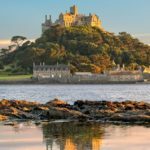 When it comes to world-class sights, Great Britain is more good than great, especially when it comes to natural wonders. We have no Grand Prismatic Spring or Grand Canyon like the US, or Niagara Falls and Lake Superior like Canada, or a vast Red Centre and the Great Barrier Reef like Australia, our close cousins in the west. 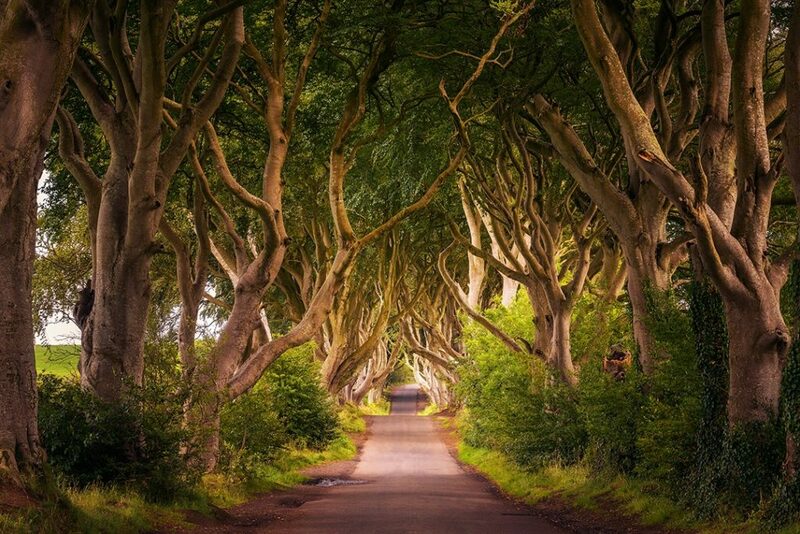 Instead, the natural wonders in the UK are wonderful in a more quiet way. 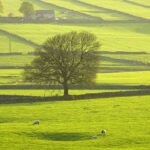 We have stunning dramatic landscapes, but standalone sights are arguably less grand. Nevertheless, they’re still worth seeing, especially if you’re visiting anyway. 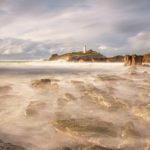 Here are our favourite (typically modest) natural wonders in the UK. The Giant’s Causeway is an area of around 40,000 interlocking basalt columns. 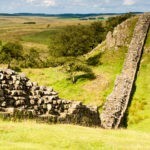 It was declared a UNESCO World Heritage Site in 1986 and is one of the most famous natural wonders in the UK. The columns form stepping stones that lead from the cliff foot and disappear under the sea. 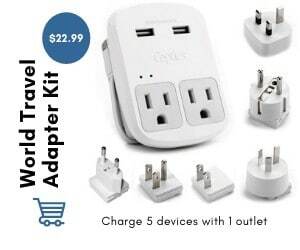 The flat surfaces atop the columns are hexagonal, although some have four, five, seven or eight sides. The tallest columns are around 12 metres and the solidified lava in the cliffs is 28 metres thick in places. 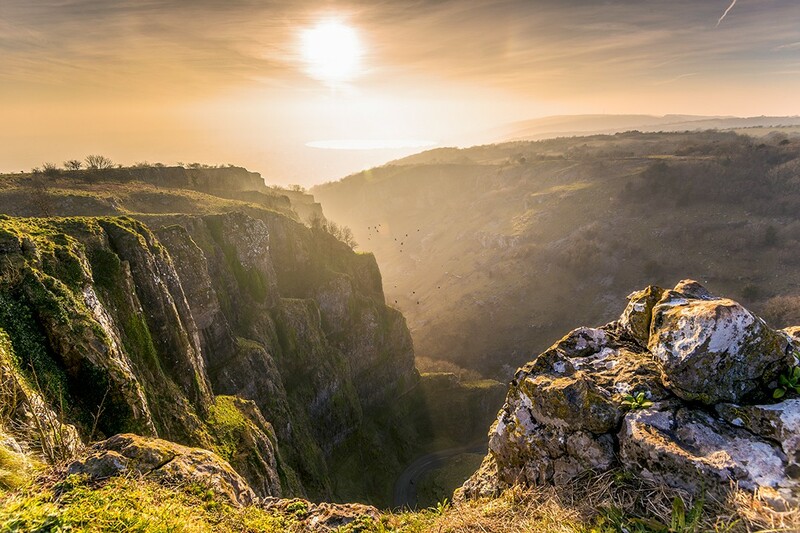 Cheddar Gorge, England’s largest gorge, started forming a million years ago during the last Ice Age when water from melting glaciers formed a river, which carved into the limestone rock, creating the steep cliffs we see today. The gorge plunges 137m at its deepest and runs three miles long. 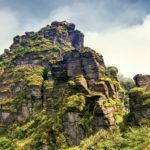 Laced with weathered crags and pinnacles, it is one of the most spectacular natural wonders in the UK. The gorge is also the site of the Cheddar show caves where Cheddar Man, Britain’s oldest complete human skeleton, estimated to be over 9,000 years old, was found in 1903. 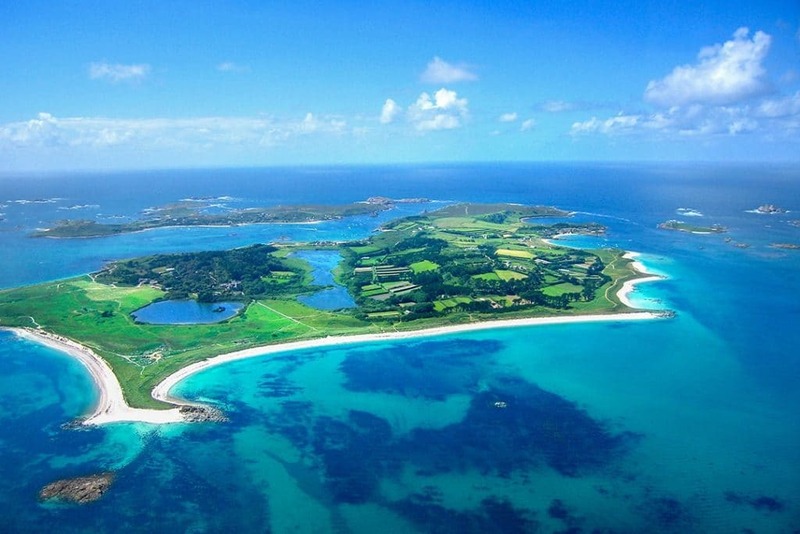 The Isles of Scilly off the coast of Cornwall are a world unto their own. More congruous with the vivid, calm waters of the Pacific than the weather-blown isles of Britain, this archipelago of around 140 islands remains unspoilt. There are no multinational hotels here or glut of chain restaurants. Instead, it offers a quiet haven away from the rush of life on the mainland. One of the islands, St Agnes, lie four miles south of Lizard Point on the mainland, making it the most southerly point in the UK. 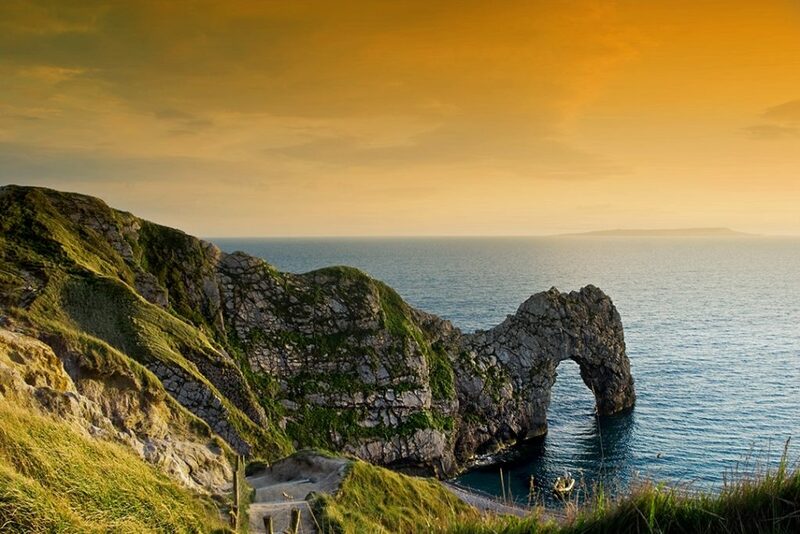 Durdle Door is a natural limestone arch on the Jurassic Coast near Lulworth in Dorset. 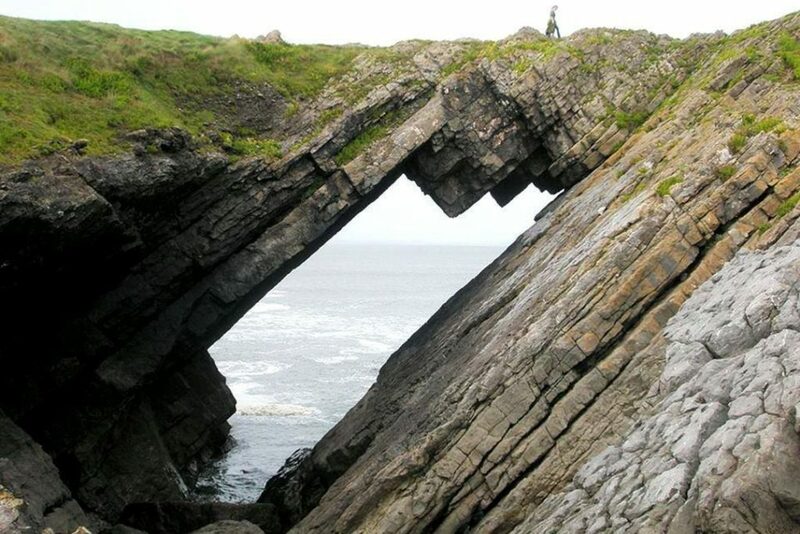 The arch was formed by eroding waves that forged a hole through the middle of the rock. The name Durdle comes from the old English word ‘thirl’, which means to pierce, bore or drill. The Jurassic Coast itself is one of the most impressive natural wonders in the UK. This 95-mile stretch from Orcombe Point in East Devon to Old Harry Rocks in Dorset is of such geological importance, it was designated England’s first Natural World Heritage Site by UNESCO in 2001. 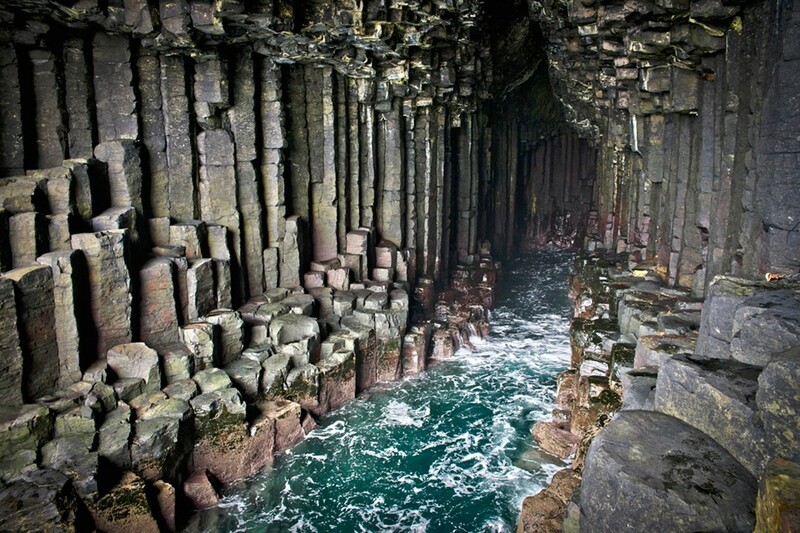 Fingal’s Cave is a sea cave on the uninhabited island of Staffa. 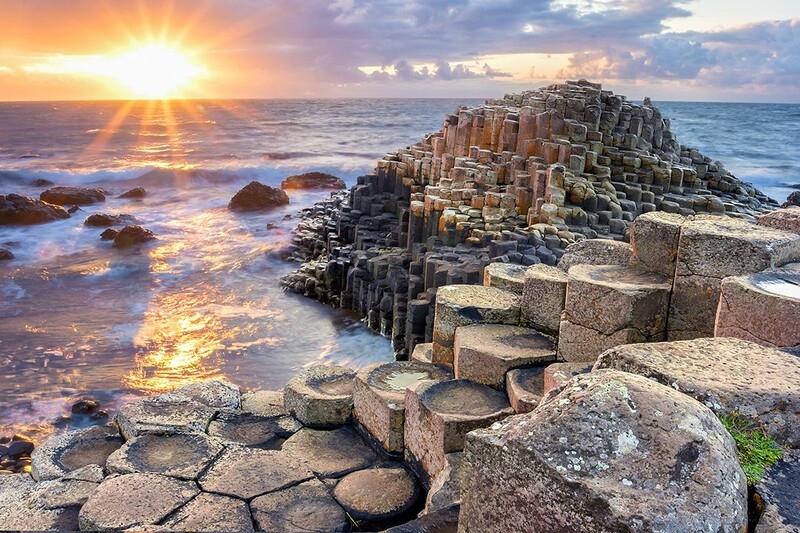 Like the Giant’s Causeway in Northern Ireland, Fingal’s Cave is formed of hexagonally jointed basalt columns. Visitors can land on the island and walk into the cave via a causeway. Staffa, which is Norse for ‘Pillar Island’, also has a sizeable puffin colony, north of the landing place. German composer Felix Mendelssohn visited Staffa in 1829 and was inspired to compose his Hebrides Overture after hearing waves echoing in Fingal’s Cave. 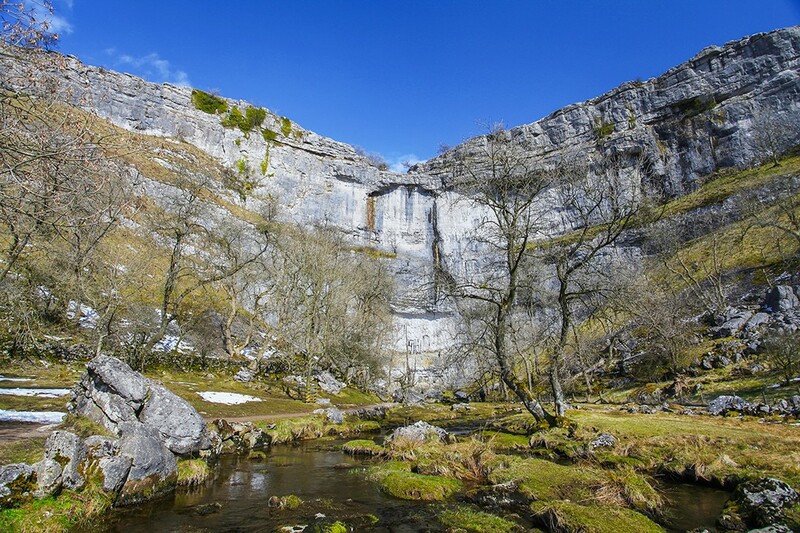 Malham Cove is a hulking rock amphitheatre lined with 80m-high vertical cliffs. 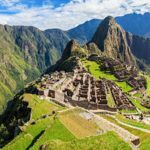 Formed along the line of the Middle Craven Fault, it has been eroded backwards from the line of the fault by ice and water over millions of years. 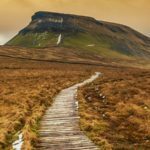 Visitors can hike up the steep steps on the left-hand side of the cove to glimpse the extensive limestone pavement above the cliffs, used as a filming location in Harry Potter and the Deathly Hallows. This imposing avenue of beech trees is not entirely natural; it was was planted by the Stuart family in the eighteenth century. Nonetheless, today, it forms one of the most atmospheric natural wonders in the UK. The shadowy, gnarled trees are among Northern Ireland’s most photographed sights after doubling as the Kingsroad in Game of Thrones. 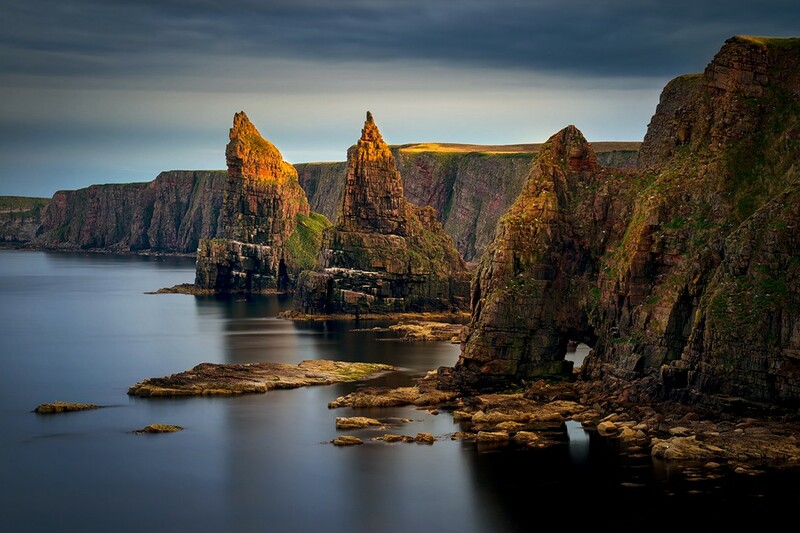 Duncansby Head is the most northeasterly point of the British mainland. Just off the coast lie two spectacular sea stacks known as the Duncansby Stacks. The Great Stack is over 60m high and rises above the summit of the adjacent cliff. The site is relatively unknown, a result perhaps of its westerly neighbour, John o’ Groats, being widely cited as the most northeasterly point on the mainland. This loss of recognition is not mourned, however. While John o’ Groats is a commercial tourist attraction, Duncansby Head remains gloriously quiet. Worm’s Head takes its name from the Old English wurm, meaning ‘dragon’, a reference to its serpentine profile. The mile-long promontory is divided into three sections: the Inner, Middle and Outer Heads. The sections are connected, but the rocky path linking the Inner and Middle Heads can be swamped at high tide. The canted arch of the Devil’s Bridge is all that remains of a collapsed sea cave and the bridge will eventually collapse too, dividing the Middle Head in two. 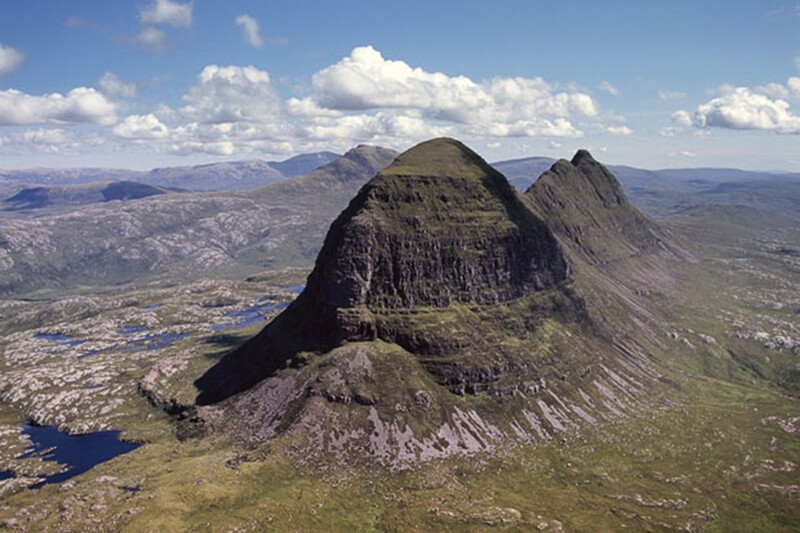 Suilven is only 731m high, but its distinctive profile makes it one of the finest peaks in the UK. Situated in a remote area in the west of Sutherland, it rises almost vertically from a wild landscape of moorland, bogs and lochans. A steep-sided ridge, over a mile long, lines the peak. The highest point, known as Caisteal Liath (the Grey Castle in Scottish Gaelic), lies at the northwest end of this ridge. There are two other summits: Meall Meadhonach at the central point of the ridge and Meall Beag at the southeastern end. Mother Shipton’s Cave is named after soothsayer and prophetess Mother Shipton (c.1488-1561) who, according to legend, was born in the cave. 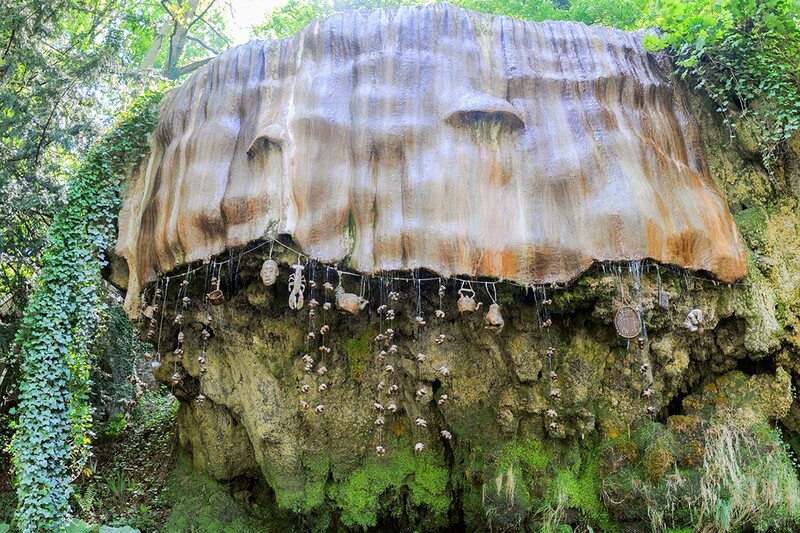 The main attraction of the site is the petrifying well which turns any object to ‘stone’ over a period of weeks or months. 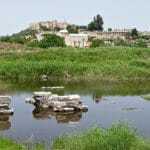 This was once believed to be magic or witchcraft, but it is an entirely natural process caused by evaporation and deposition in waters with unusually high mineral content. 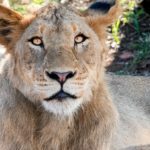 Petrifying is not to be confused with petrification, the latter of which replaces the constituent molecules of the original object rather than merely covering it with molecules of stone or mineral. 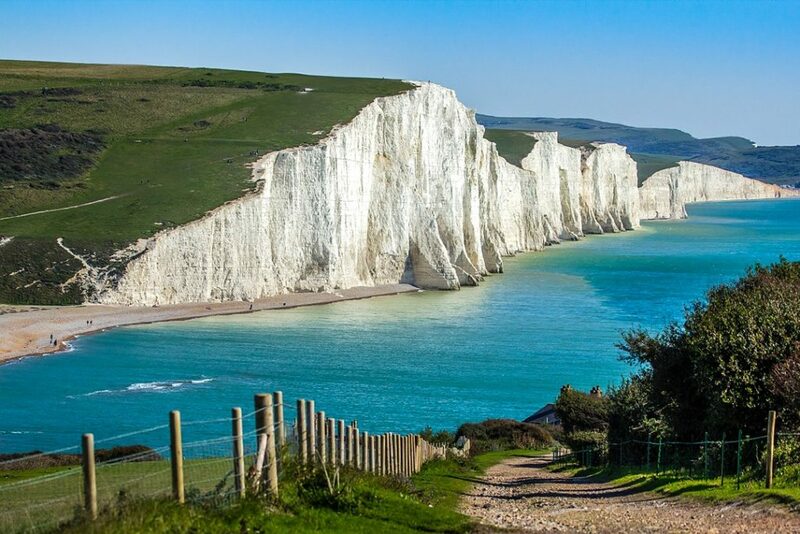 The chalk cliffs of Seven Sisters by the English Channel have been used as a location in several films including Robin Hood: Prince of Thieves and Atonement. They are often used as a stand-in for the more famous White Cliffs of Dover as they are relatively free from modern development and are allowed to erode naturally, which maintains their bright white colour. The White Cliffs of Dover in contrast are protected due to the port and are therefore greening as a result of increasing vegetation. Wistman’s Wood is one of three remote high-altitude oakwoods on Dartmoor in Devon. The ancient forest has largely been left to grow wild, partly due to the treacherous, rocky ground at the base of the trees which makes it difficult to navigate. Hulking, moss-covered boulders, twisted brambles and old, gnarled trees form a fairytale landscape that has inspired tales of druids and ghosts. 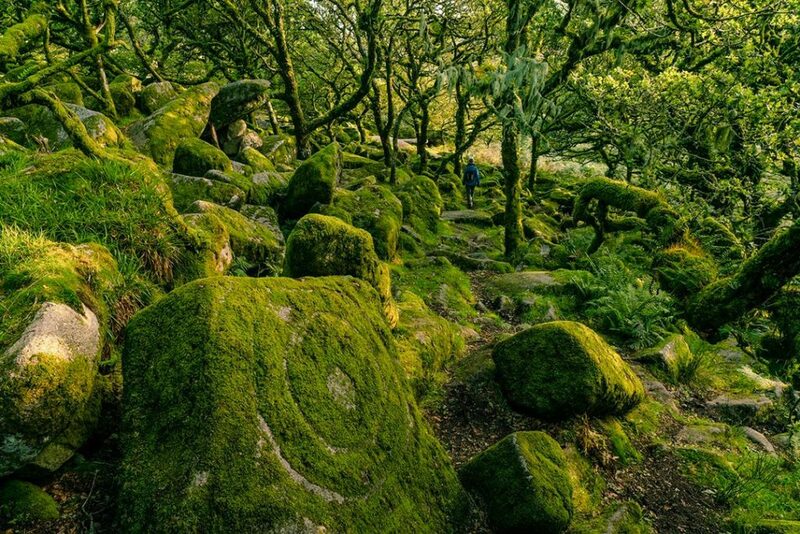 No evidence has been found, but it’s not hard to see why Wistman’s Wood evokes such myth and mystery. 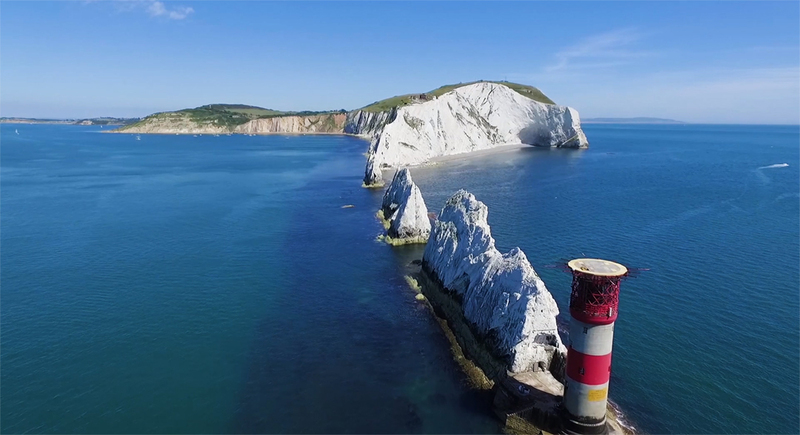 The Needles are three distinctive chalk stacks that rise 30m above the sea off the western extremity of the Isle of Wight. The formation takes its name from a fourth needle-shaped pillar called Lot’s Wife, that collapsed in a storm in 1764. The remaining rocks are not needle-shaped, but the name has endured. 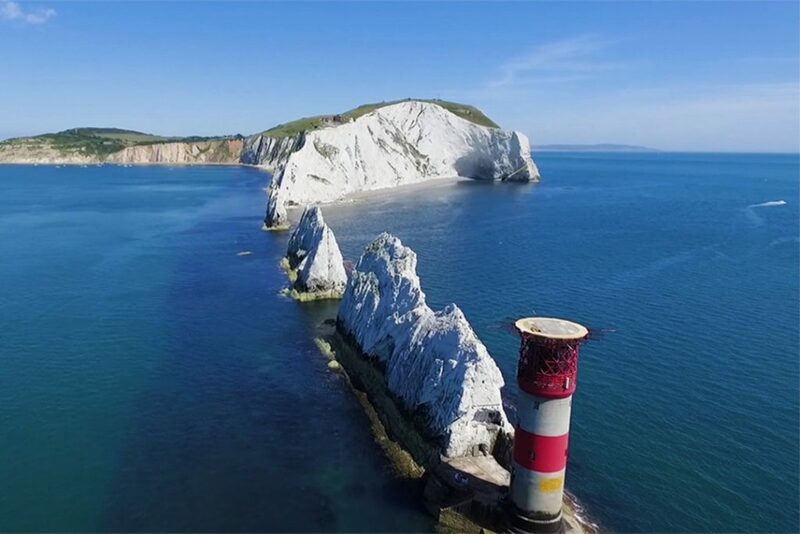 This chalk ridge continues under the sea to Dorset’s Isle of Purbeck and is said to have once been connected to Old Harry Rocks 20 miles away. 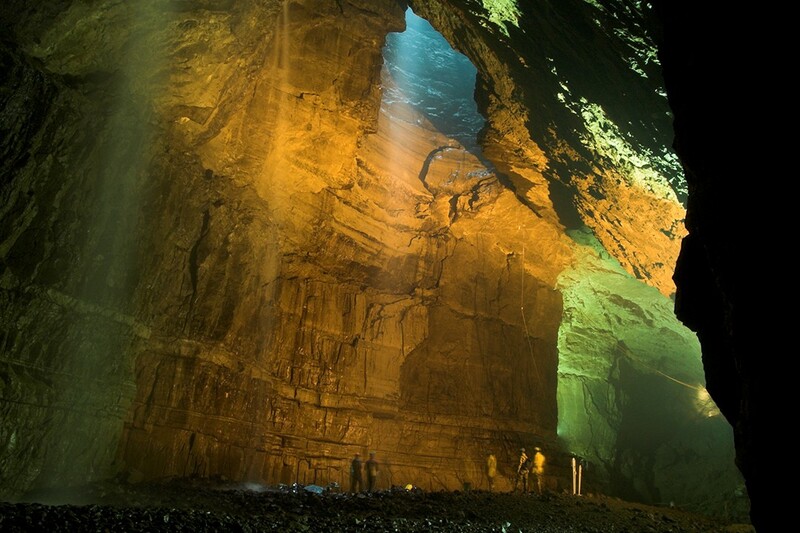 Gaping Gill is one of the largest known underground chambers in the UK. In fact, it was the deepest known until Titan in Derbyshire was discovered in 1999. Gaping Gill still retains the records for the highest unbroken waterfall in England and the largest underground chamber naturally open to the surface. Fell Beck pours over a lip of rock above and crashes 100m to the floor of the cavern before draining through to Ingleborough Cave. So complex is the cave system, it wasn’t until 1983 that members of the Cave Diving Group made the connection between this cavern and Ingleborough Cave. At just over 1,000m, Glyder Fawr is the highest peak in the Glyderau range of Snowdonia. The range was formed about five hundred million years ago when two land masses collided, causing the Snowdonia massif to rise up. 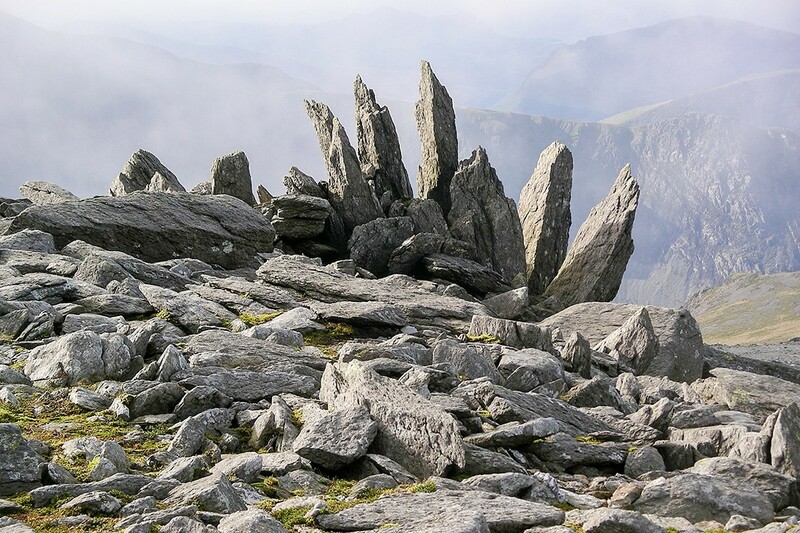 This rocky outcrop near the summit of Glyder Fawr is one of numerous striking formations littering the area. 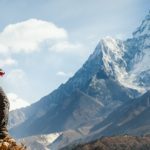 Over the ages, wind, water and ice lashed the mountains, causing massive rocks to crash down and form the boulder fields and scree visible today. 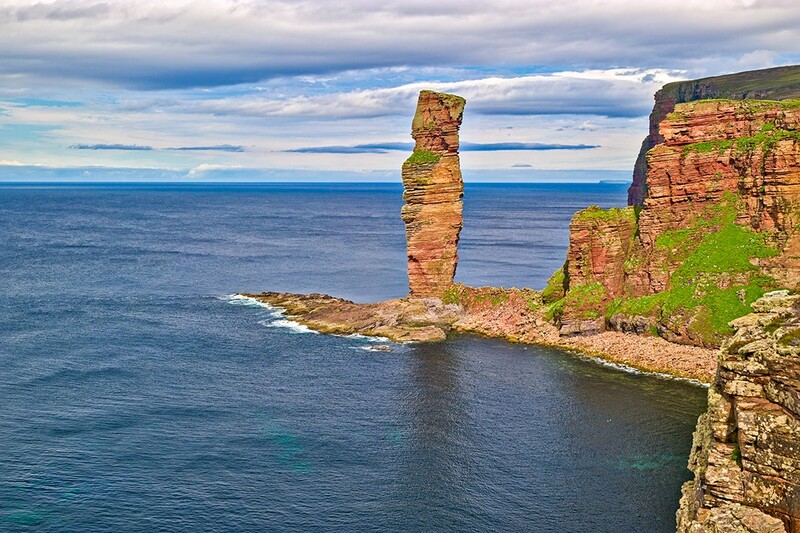 The Old Man of Hoy is a 137m sea stack perched on a plinth of basalt rock. It is one of the tallest in Britain and was created by the erosion of a cliff through hydraulic action some time after 1750. The Old Man of Hoy is separated from the mainland by a 60m chasm strewn with debris. It comprises layers of soft sandstone and harder flagstones of Old Red Sandstone, giving the sides a notched, slab-like profile. The stack is no more than a few hundred years old and may soon collapse into the sea. The Old Man of Storr is a striking rock pinnacle that stands 50m high. Part of the Trotternish Ridge, the Storr was created by a massive ancient landslide. The area in front of the cliffs is dotted with oddly-shaped rock pinnacles, creating one of the most photographed landscapes in the UK. 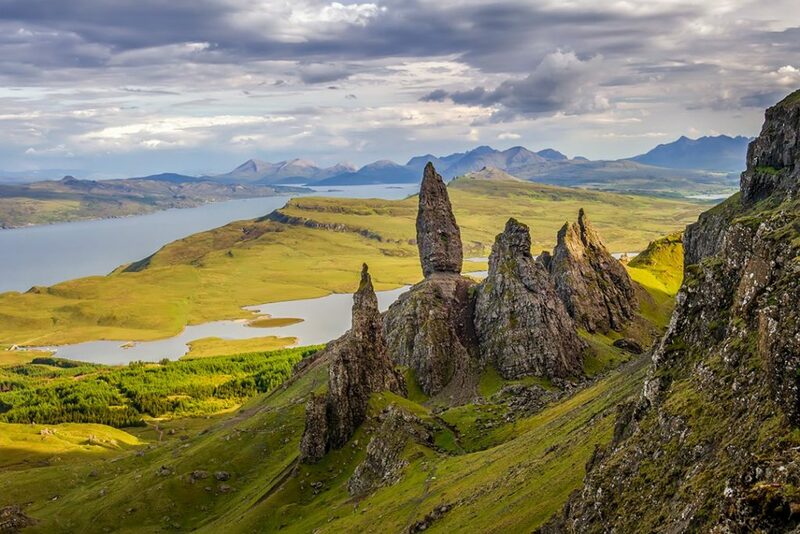 The Old Man of Storr has featured in a number of cultural works, most notably Ridley Scott’s 2012 film Prometheus, which features the pinnacle in some of its opening scenes. 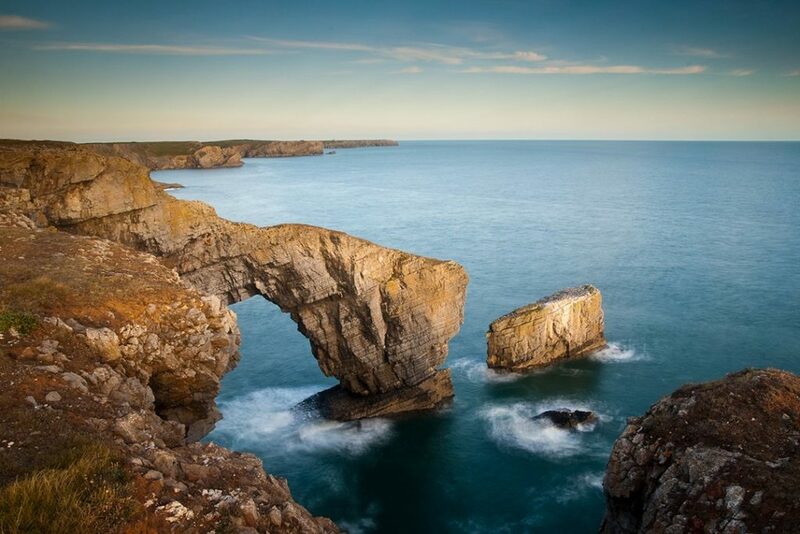 The Green Bridge of Wales is a limestone arch naturally formed by the ebb and flow of the tide. The arch, frequently described as one of the most picturesque natural wonders in the UK, stands roughly 24m high and has a span of 20m. A layer of vegetation atop the arch gives it the name Green Bridge. Sadly, it is expected that the top of the arch will eventually wear away leaving a stack of rocks in place. 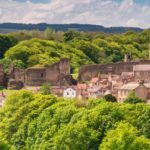 Yes, we know it’s cheating to include this in a list of natural wonders in the UK, but it is listed by UNESCO under the UK’s Natural World Heritage Sites. Gough and Inaccessible Islands in the archipelago of Tristan da Cunha are uninhabited apart from the personnel of a weather station. 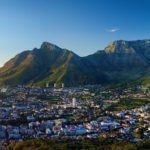 The sites comprises one of the least-disrupted island and marine ecosystems in the cool temperate zone. 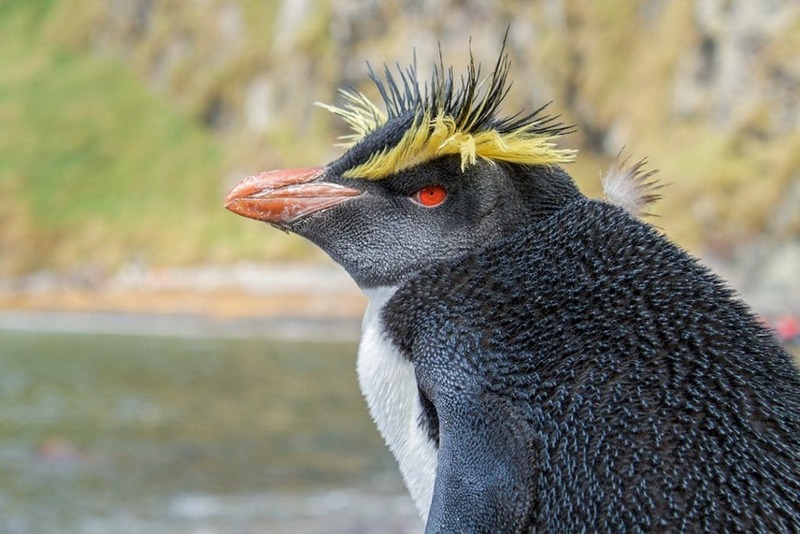 They are free of introduced mammals and home to several endemic species of birds and plants, as well large populations of the endangered Northern Rockhopper Penguin. 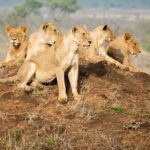 Lonely Planet Great Britain is a comprehensive guide to the country, ideal for those who want to both explore the top sights and take the road less travelled.